France, one of Europe’s two nuclear powers, said on Tuesday that it had fired a nuclear-capable missile from a fighter jet, while the US and Russia feud over the death of a nuclear treaty that saw Europe purged of most of its weapons of mass destruction during the hair-triggered days of the Cold War. 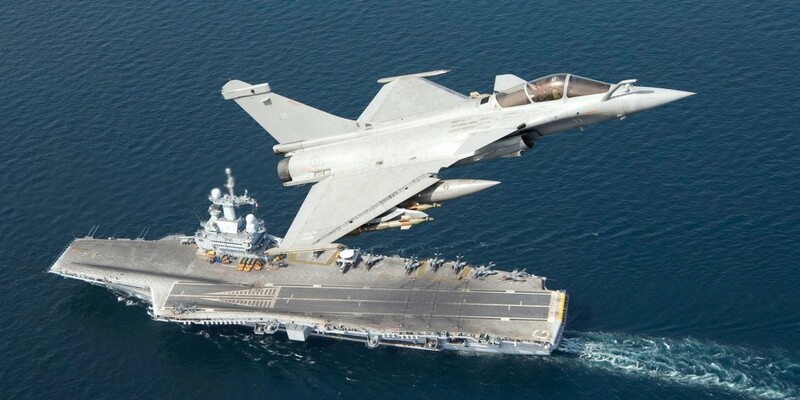 Dassault Rafale flies over Charles de Gaulle aircraft carrier. France said on Tuesday, days after a treaty between the US and Russia that formed the cornerstone of European nuclear security collapsed, that it had fired a nuclear-capable missile from a fighter jet. France has been flexing its military muscles and asserting its independence since feuding with US President Donald Trump over defense issues. France fired the missile from a fighter jet in an exercise that tested every element of an actual nuclear strike, Reuters described the country’s military as saying. France tested all phases of a nuclear strike with an 11-hour mission that saw a Rafale fighter jet refuel and fire an unarmed missile capable of carrying a nuclear warhead, Reuters described France’s military as saying. France also operates a fleet of ballistic-missile submarines that can fire some of its 280 some nuclear warheads, but the subs move in secrecy and don’t provide the same messaging effect as more visible fighter jets. France’s announcement of a nuclear test run came after the US and Russia fell out of the Intermediate-Range Nuclear Forces Treaty, which barred both countries from building nuclear missiles with ranges between 300 and 3,400 miles. Signed in 1987, it saw Europe and Russia remove an entire class of nuclear warheads from the continent in one of the most successful acts of arms control. The US has accused Russia of having violated the treaty for years, and with all of NATO’s backing, the US last week decided to exit it. But while France, as part of NATO, sided with the US, it has increasingly sought to distance itself from the US in foreign-policy and military affairs, and increasing the visibility of its nuclear arsenal is one way to assert independence. Last year French President Emmanuel Macron, during a spat with US President Donald Trump, pushed the idea of creating a European army, which got backing from Germany. Experts, however, have said this idea is largely redundant under NATO and unlikely to ever take shape. Nonetheless, Trump took direct offense at Macron’s idea and mocked him over it on Twitter.